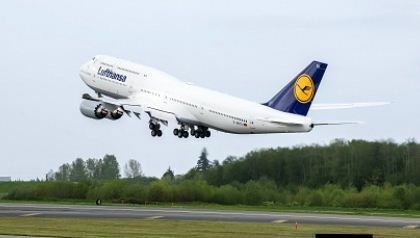 The new Lufthansa 747-8. Boeing photo. 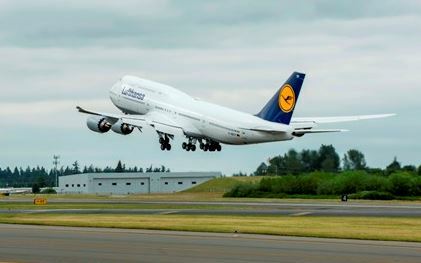 Lufthansa has taken delivery of its 75th Boeing 747, 44 years after the German arline received its first Jumbo Jet. 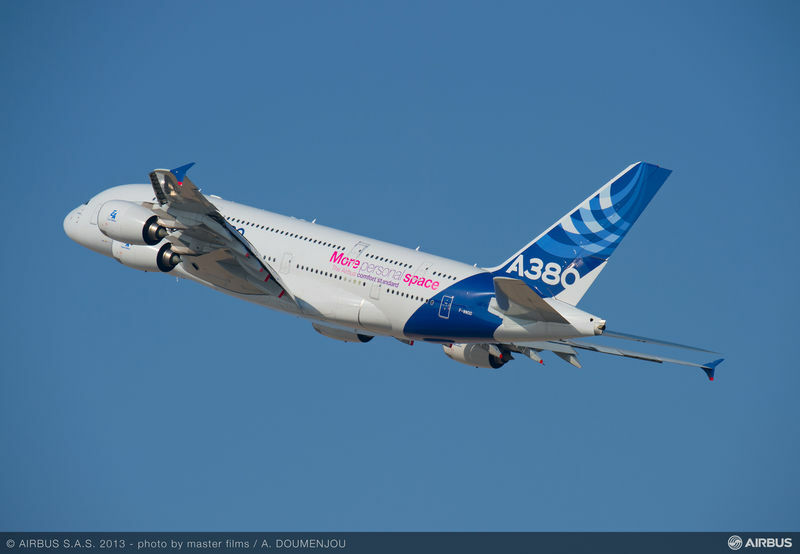 The launch customer of the Boeing 747-8, the airplane delivered on Wednesday was the arline’s 13th. Six more 747s are on order. “Lufthansa is proud to share this milestone with Boeing,” said Nico Buchholz, executive vice- president of Lufthansa Group Fleet Management. Lufthansa received its first 747-8 two years ago and its first Jumbo Jet, a 747-100, in 1970, a year after the wide-body airplane’s maiden flight. As of this spring, nearly 1,500 747s are in service around the world. The 747-8 is the newest member of the family. 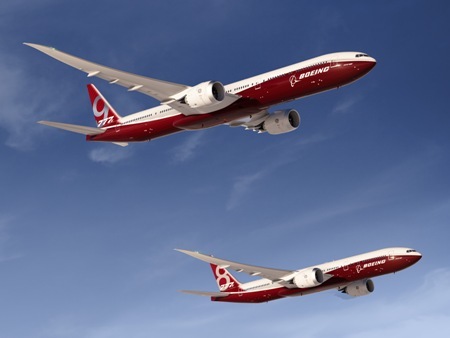 It has won 120 orders for passenger and cargo versions, 68 of which have been delivered, Boeing said on Friday.